If you're on this page that means you have an interest in joining our team, so thank you for your interest in serving DeKalb County. At the DeKalb County Community Foundation we are a small team of professionals who love our community and love what we do. Who we are and what we represent are clearly defined in our mission, vision, and core values. As our team continues to grow, so does our reach and ability to better serve the community that we live in. Since 1993 the DeKalb County Community Foundation has successfully partnered with philanthropists to benefit organizations and communities throughout DeKalb County. Managing over $53 million in charitable assets and distributing over $2.7 million a year in grants and scholarships, we connect people who care with causes that matter and strive to enhance the quality of life in DeKalb County. 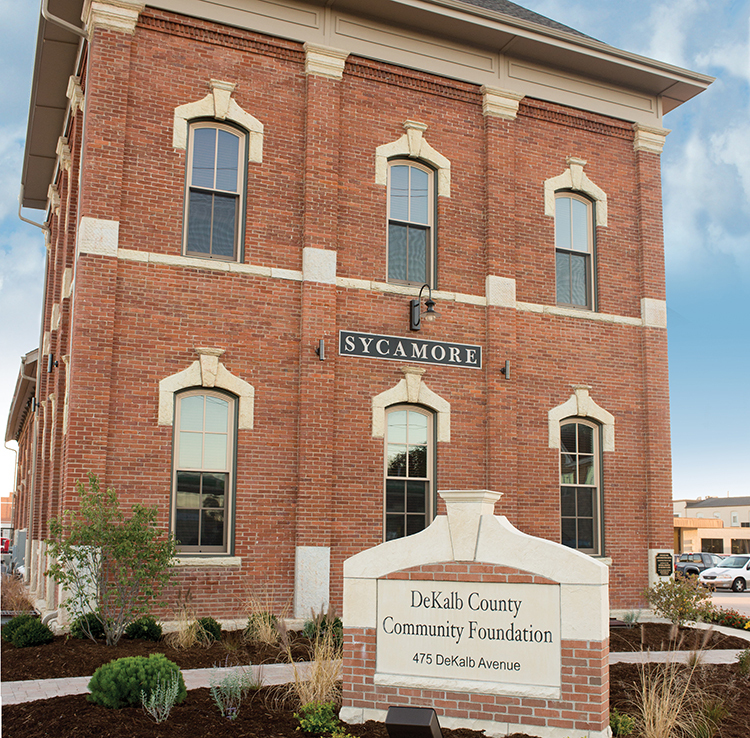 The Foundation operates out of the historic Sycamore Train Depot, employs 7 full-time and 2 part-time staff and 21 Board Members fulfilling its mission. At this time there are no open positions within the DeKalb County Community Foundation, but please continue to check back as often as you'd like. The best way to stay up to date is through our e-newsletter "What Gives", or to follow us on Twitter or Facebook. Should you have any questions or would like to learn more about the Foundation, feel free to contact us. The DeKalb County Community Foundation is an Equal Opportunity Employer.